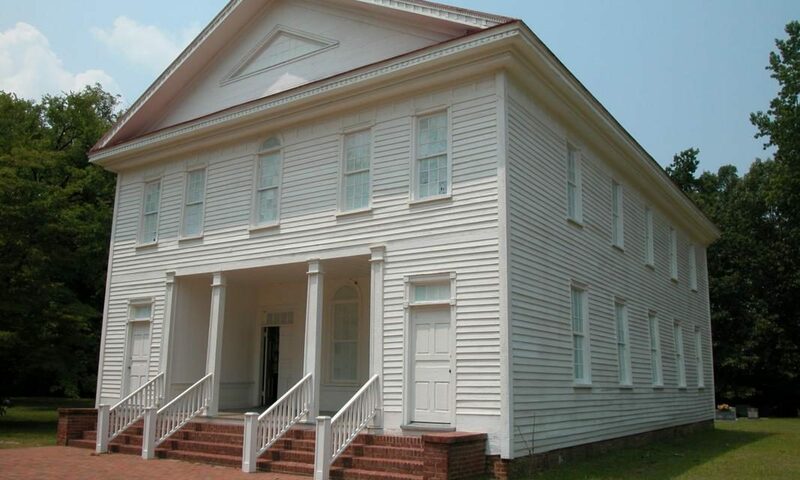 As one of the original 13 colonies, North Carolina is a history buff’s dream. Follow this timeless trail to see some of the region’s most significant historical markers. Tucked away in the Sandhills of North Carolina is a town rich with American history and brimming with opportunities to explore the great outdoors. As one of the original 13 colonies, it’s no surprise that Revolutionary history plays a major role in the sites and attractions that you’ll find throughout the state. History buffs and nature lovers alike will be fascinated to see sites that were once home to soldiers, militiamen and revolutionaries who played such a key role in our nation’s history. Cars and buses may now run along what used to be horse and carriage paths, but the American Independence Trail of Fayetteville and Cumberland County allows visitors to step back in time and experience history firsthand through the eyes of our forefathers. The driving trail runs a total of 35 miles and can be covered in any order. Don’t forget to check the website before visiting to confirm operation hours of some of the sites. 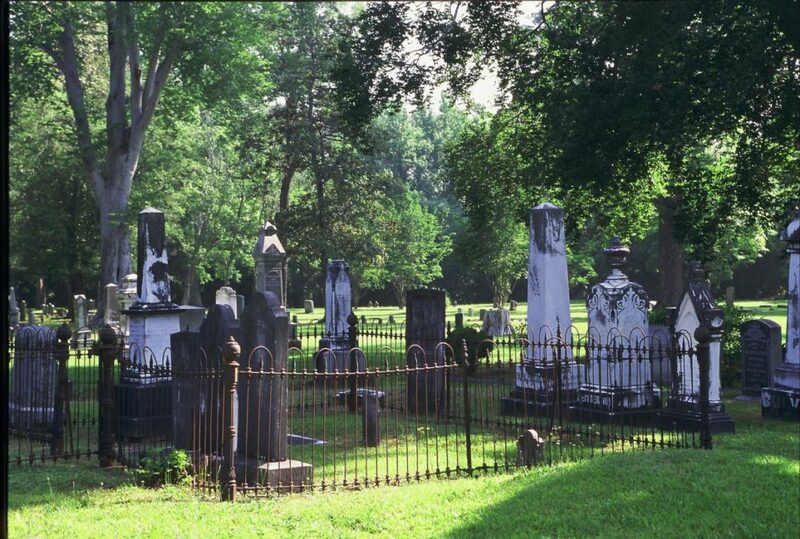 Start your journey at one of the oldest graveyards in Cumberland County, which is the burial site of Colonel Alexander McAllister. Colonel McAllister was a Revolutionary War patriot who came to North Carolina in 1740 and joined the state Senate in 1787. Be sure to check out the picturesque Old Bluff Church adjacent to the cemetery, which offers tours by appointment. Stop at the granite marker that commemorates a pledge made by the 55 signatories of the “Liberty Point Resolves.” Drafted one year before the Declaration of Independence was signed, this document of freedom expressed hope that Great Britain and the colonies could reconcile following British actions after the battles of Lexington and Concord. The third stop on the trail takes you to the grave of the Isaac Hammond, who became the first fifer in the Fayetteville Independent Light Infantry, where he served for 30 years, and also served in the 10th NC Regiment Continental line during the Revolutionary War. Despite African-Americans not being able to vote at the time, Hammond was active in local politics. Hours: Sunday, 1-5 p.m.; Tuesday–Saturday, 10 a.m.–5 p.m. Closed on Monday. 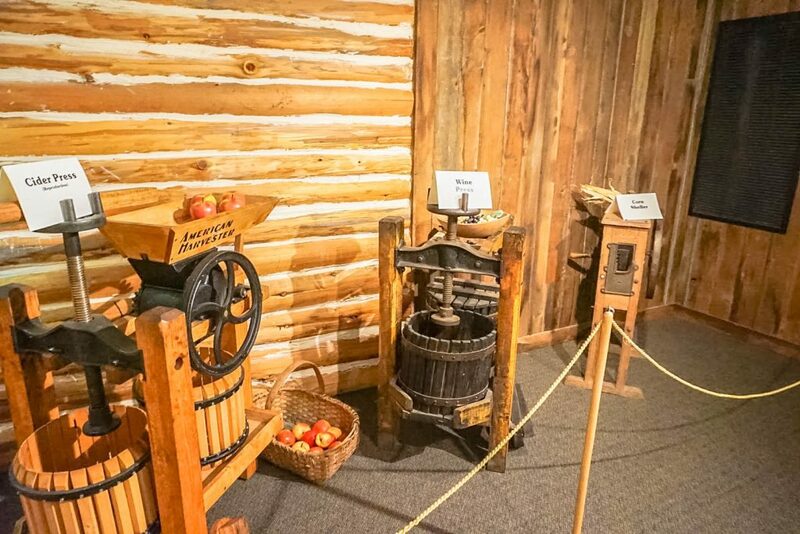 Check out this museum for nearly 400 years of history that is retold through captivating exhibits providing an excellent insight into the patriotism and revolutionary activity that occurred in the region. The museum is the perfect way to piece together the trail’s many stops and learn more about the events – both big and small – that led to North Carolina joining the Union as the 12th state. Following the Battle of Guilford Courthouse in 1781, Lieutenant General Charles Cornwallis and his army stopped in Fayetteville on its way to Wilmington. The 2,100-man British army had just defeated the 4,500 Americans, led by Major General Nathanael Greene, but lost a considerable amount of men in battle. This historical marker notes their stop in what is now downtown Fayetteville. 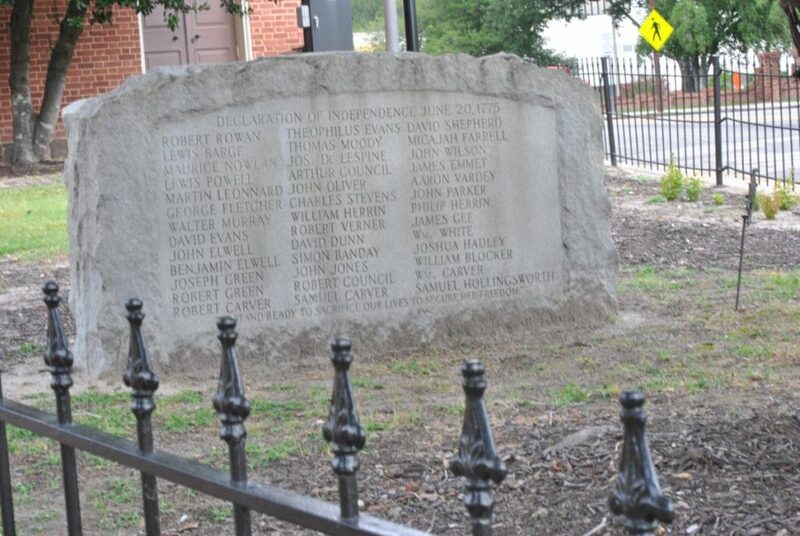 Southeast of downtown Fayetteville you will find a marker where Whig Commander General James Moore and his forces camped prior to the Battle of Moores Creek Bridge in 1776. The forces’ subsequent victory over the Southern Loyalists helped to build political support for the Revolution. Did you know that Fayetteville is named for Revolutionary War hero Marquis de Lafayette? While other U.S. cities also bear this name, Fayetteville, NC was the first to bear his name and the only one that he actually visited. At the young age of 19, de Lafayette sailed to the United States from France to join in the colonists’ fight for independence. 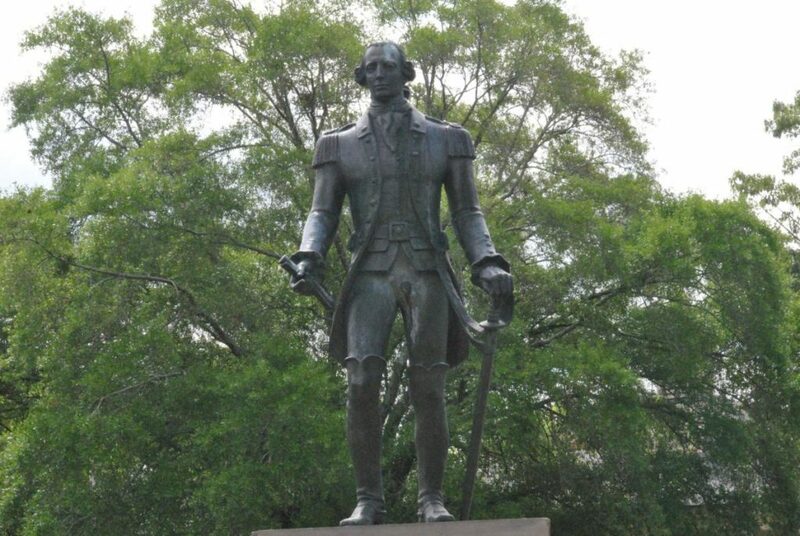 Washington later awarded Lafayette with command of the Virginia army, and this statue pays tribute to his many accomplishments. It was at this site that the Scottish heroine Flora MacDonald saw off her husband, Allan MacDonald, as he and his troops made their way toward the Battle of Moores Creek Bridge, where they would later be defeated by Revolutionary forces. 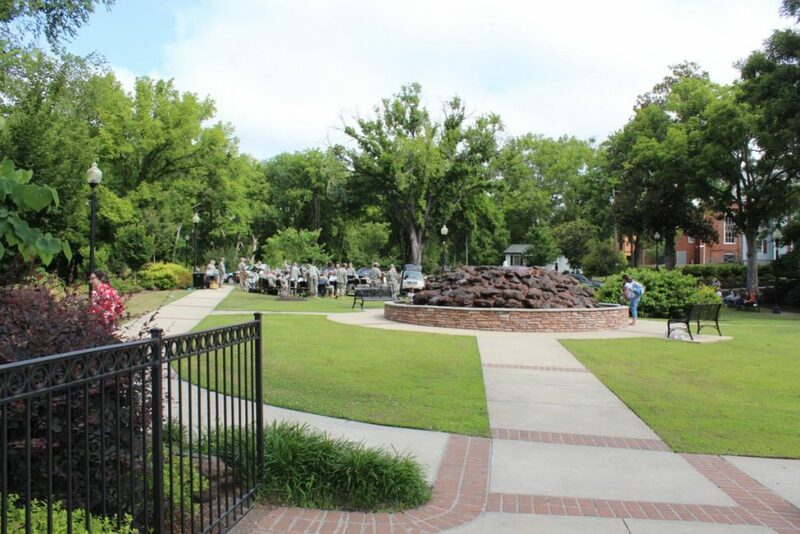 Just minutes from the heart of downtown Fayetteville is the friendly and welcoming Fayetteville Area Convention and Visitors Bureau (FACVB). Whether you’re planning a family vacation, a sporting event or business-related travel, the staff of the FACVB are here for you from start to finish. Call for information and help planning your visit to the Fayetteville area or stop by when you arrive for maps, brochures and more. The Fayetteville area has so much to offer visitors in the way of nature and exploration on its many heritage trails. From architecture to food, antiques to religion – there is something for everyone to enjoy as you walk and take in the local sights. Check out some of the region’s most popular trails and start planning your next adventure today.